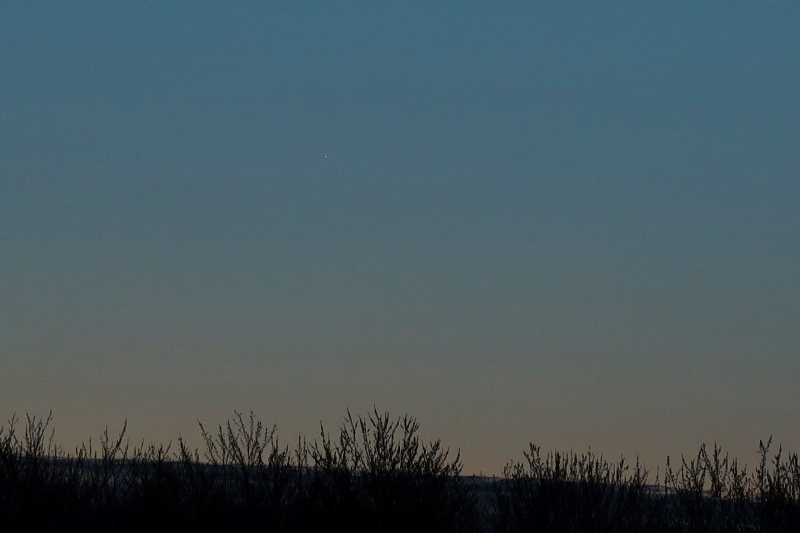 The planets Mercury and Venus were captured on April 3, 2019, at 6:16 am EDT from Swede Run in Moorestown, NJ. Taken with a Canon EOS RP mirrorless digital camera and a Canon 100 mm f/2.8L macro lens on a fixed tripod. This single frame was exposed 1/80 second at f/2.8, ISO 400 (automatic with a -1 stop override), daylight white balance. Contrast was increased slightly and it was cropped to about 60% of the original linear dimensions for a field about 12° wide x 8° high. Mouseover for labels. Mercury, 5.5° altitude and 102° azimuth at the time, is difficult to see in this image (no localized enhancement was applied), so see the image below, which has been further cropped in the area around Mercury to increase its visibility. Mercury was initially sighted at 6:08 am EDT with 15x56 binoculars, but it was not prominent and it was not seen with unaided eyes in the brightening twilight (sunrise would be at 6:41 am, 82° azimuth). 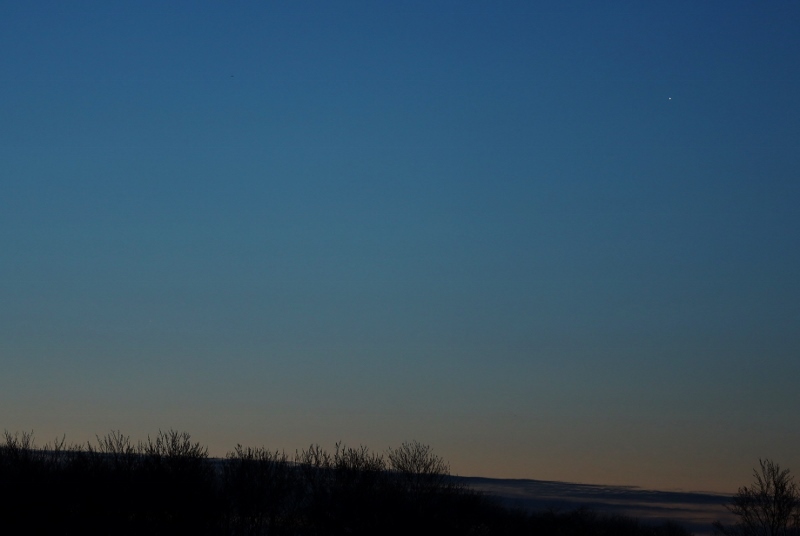 On the way to Swede Run, Venus was just emerging from the descending cloud bank above the eastern horizon, so sighting Mercury earlier in a darker sky was not feasible. Before leaving Swede Run, Mercury was last viewed at 6:22 am with difficulty in the 15x56s. Although Mercury will exhibit its greatest extension from the sun for 2019 during this elongation (27.7°), it's a poor one for observers at mid-northern latitudes because the angle of the ecliptic with respect to the horizon before sunrise is shallow (about 27° at the time of the picture) causes most of the elongation to be sideways rather than vertical, so there isn't a corresponding increase in altitude above the horizon. This is the same original image as the one above, but cropped to about 25% of the linear dimensions in the area around Mercury to better show it. The field is about 5.2° wide x 3.5° high. Mouseover for a label. The asteroid (7) Iris, magnitude 9.4 in Corvus, was captured on April 1, 2019, at 3:23 am EDT from Carranza Field in Wharton State Forest, NJ. Taken with a Canon EOS RP mirrorless digital camera and a Canon 200 mm f/2.8L lens on a fixed tripod. This single frame (10.3° wide x 6.9° high) was exposed 4 seconds at f/2.8, ISO 6400, 3800 K white balance. Besides size reduction, it's unprocessed. Mouseover for labels. Iris was possibly spotted with 15x56 binoculars at 3:08 am EDT, but after reviewing this image later, I realized I should have checked with my 85 mm spotting scope to be certain I wasn't looking at the magnitude 9.1 star, HD 111015, 9½ arc minutes away. See Bob King's article at Sky & Telescope online for information (including finder charts) about spotting (2) Pallas and (7) Iris around their oppositions in early April 2019. The previous evening, March 31, 2019, I spotted the asteroid (3) Juno, magnitude 9.7 in Orion, with my 85 mm spotting scope at 9:25 pm EDT from my backyard in suburban Maple Shade, NJ, confirming it at 60x. 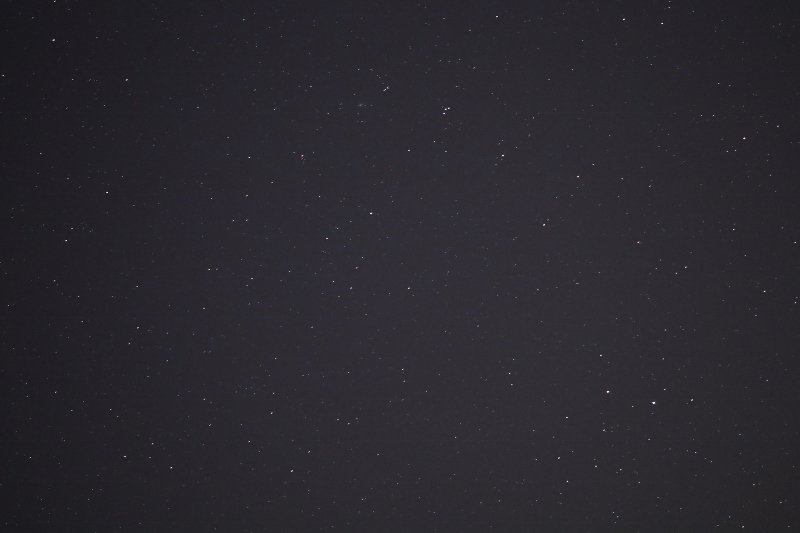 I could not see it with my 15x56s in the light-polluted sky here. 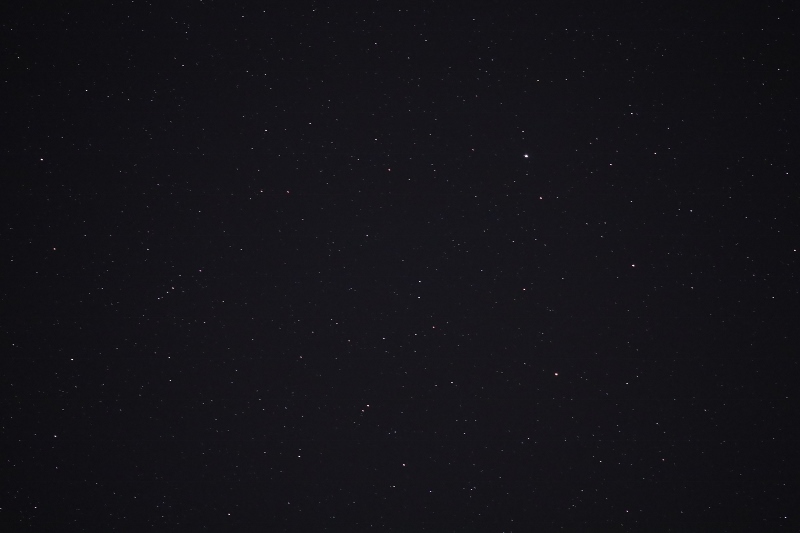 The asteroid (2) Pallas, magnitude 7.9 in Boötes, was captured on April 1, 2019, at 3:25 am EDT from Carranza Field in Wharton State Forest, NJ. Taken with a Canon EOS RP mirrorless digital camera and a Canon 200 mm f/2.8L lens on a fixed tripod. This single frame (10.3° wide x 6.9° high) was exposed 4 seconds at f/2.8, ISO 6400, 3800 K white balance. Besides size reduction, it's unprocessed. Mouseover for labels. Pallas was spotted with 15x56 binoculars at 3:09 am EDT, about 5° southwest of first-magnitude Arcturus (which is out of the frame). 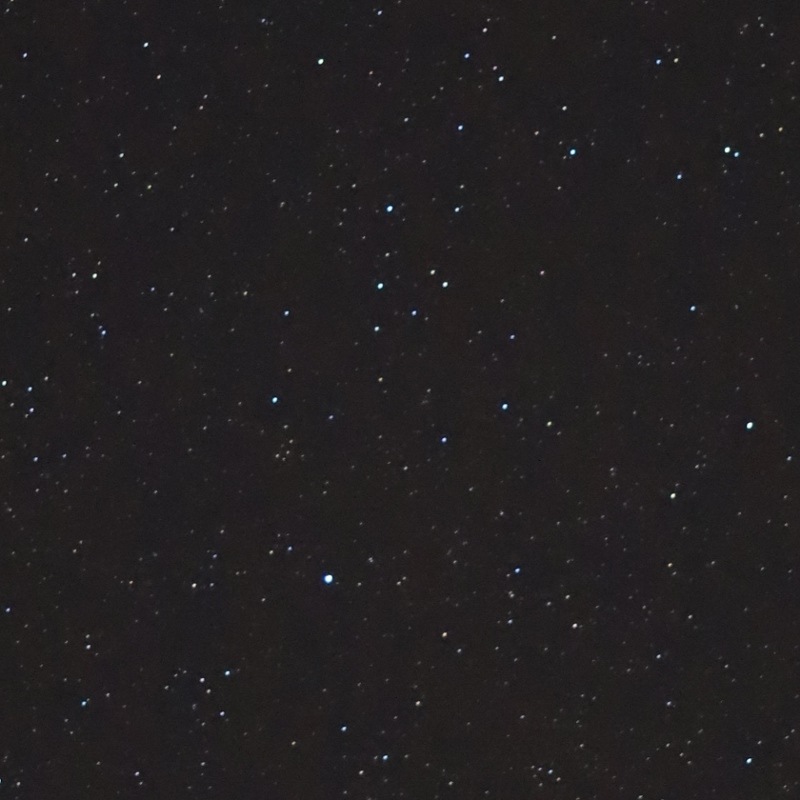 The asteroid (1) Ceres, magnitude 8.1 in Ophiuchus, was captured on April 1, 2019, at 3:26 am EDT from Carranza Field in Wharton State Forest, NJ. Taken with a Canon EOS RP mirrorless digital camera and a Canon 200 mm f/2.8L lens on a fixed tripod. This single frame (10.3° wide x 6.9° high) was exposed 4 seconds at f/2.8, ISO 6400, 3800 K white balance. Besides size reduction, it's unprocessed. Mouseover for labels. Ceres was spotted with 15x56 binoculars at 3:11 am EDT. Note: The three asteroid pictures above were all taken in a narrow time frame (3:23 to 3:26 am EDT) and all three had the same exposure settings (and were similarly unprocessed). Nevertheless, they show different levels of background darkness. That's due to the sky position. In the first, (7) Iris was at 28.4° altitude and 218° azimuth, roughly southwest, so it was towards the skyglow of Hammonton (about 14 miles away) and the New Jersey suburbs of Philadelphia, which are not that much farther away. In the second, (2) Pallas was high overhead at 62.4° altitude and 213° azimuth, so even though it was roughly south-southwest, it was above the apparent light domes. In the third, (1) Ceres was at 28.3° altitude and 150° azimuth, roughly south-southeast. 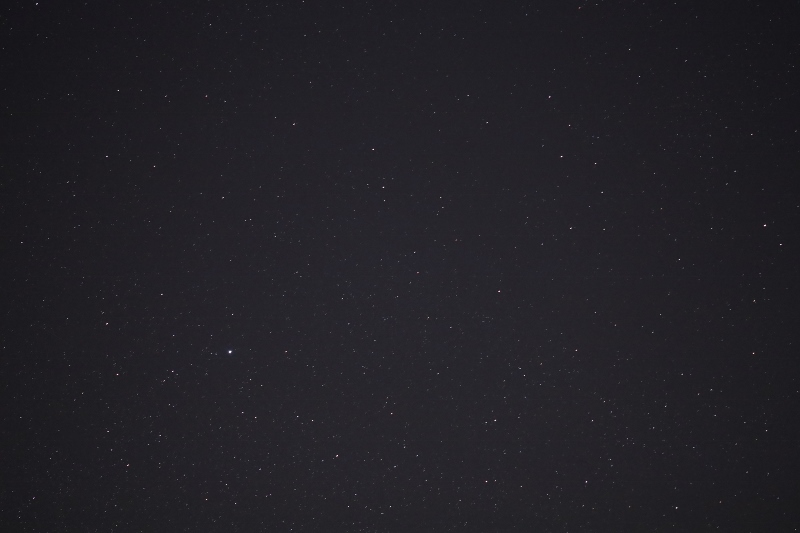 There's less light pollution to the east at Carranza, but it's still not as dark as it is overhead. However, it was dark enough, and clear enough, that Milky Way "cloudiness" was distinct in the east from the Summer Triangle (Albireo was at 38° altitude) to Sagittarius (Lambda Sgr was at 12° altitude) when I last looked shortly before leaving at 3:45 am. 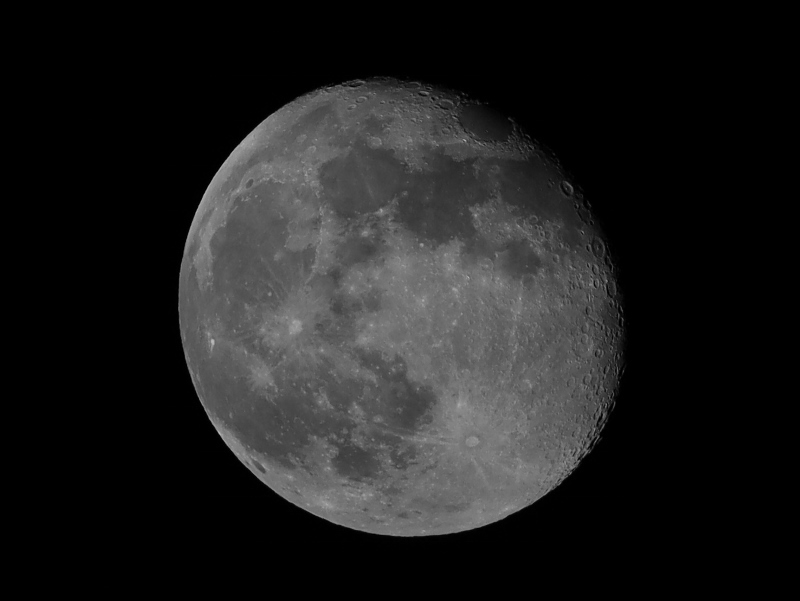 The waning gibbous Moon was captured on March 23, 2019, at 1:37 am EDT from Maple Shade, NJ. Taken with a Canon EOS RP mirrorless digital camera at the prime focus of a William Optics 80 mm, f/6 apo refractor on a fixed tripod. Cropped to a quarter of the frame's original linear dimensions for a field about 0.9° wide x 0.7° high. This single frame was exposed 1/1600 second at f/6, ISO 800, monochrome mode. This exposure is about two-thirds of a stop greater than the "Looney 11" rule-of-thumb, to compensate for a thin cloud passing over the moon at the time. Besides cropping and size reduction, no processing was applied. At the time, the moon was in eastern Virgo, about 38° altitude. It was 16.6 days old (since new moon on March 6) and 93% illuminated. Click here for a larger version, cropped only, no size reduction. 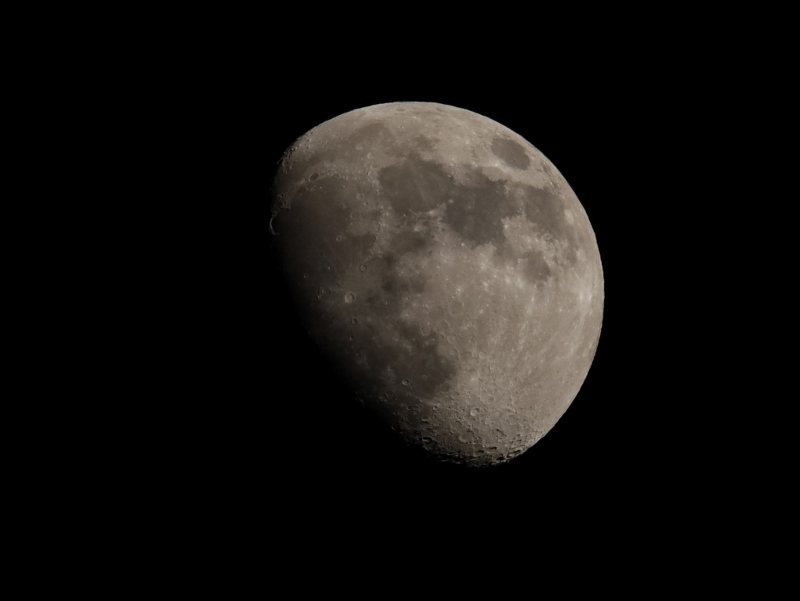 The waxing gibbous Moon was captured on March 16, 2019, at 8:51 pm EDT from Maple Shade, NJ. Taken with a Canon EOS RP mirrorless digital camera and a Tamron 150 to 600 mm f/5-6.3 zoom lens on a fixed tripod, set to 600 mm focal length. Cropped to a third of the frame's original linear dimensions for a field about 1.1° wide x 0.8° high. This single frame was exposed 1/1600 second at f/11, ISO 1600 with daylight white balance; note that this exposure coincides with the "Looney 11" rule-of-thumb. Besides cropping and size reduction, no processing was applied (click on the picture for a higher-resolution version, or click here for a higher-resolution version with labeled craters). At the time, the moon was in Cancer, about 69° altitude and 7½° west of M44 (the Beehive Cluster). It was 10.4 days old (since new moon on March 6) and 78% illuminated. The asteroid, or minor planet, (2) Pallas was captured on March 12, 2019, at 3:49 am EDT from Carranza Field in Wharton State Forest, NJ. Taken with a Canon EOS RP mirrorless digital camera and a Canon 200 mm f/2.8L II lens on a fixed tripod, uncropped, for a field 10.3° wide x 6.9° high. This single frame was exposed 4 seconds at f/2.8, ISO 6400 and 4200 K white balance, minimal processing applied. At the time, Pallas was magnitude +8.0 in Boötes, 10.5° south of Arcturus and 1.3° north of the Virgo border. Mouseover for labels. Bob King has a nice article at Sky & Telescope online about observing (2) Pallas as it approaches opposition in early April 2019. The upcoming opposition of (7) Iris is also covered, with finder charts for both. Barnard's Star (V2500 Oph) was captured at 4:17 am EDT. 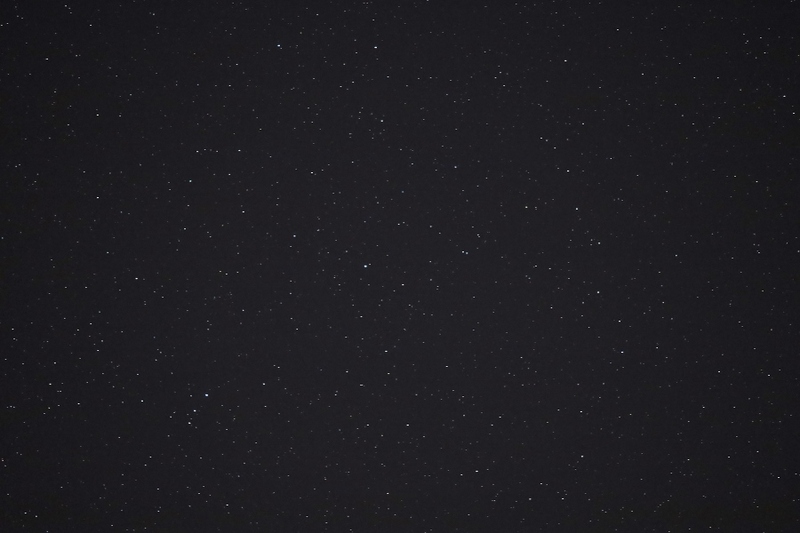 Taken with the same camera and lens as the previous image, but cropped to a 2.8° square field (27% of the width x 40% of the height, or 10.9% of the original image area). This single frame was exposed 2 seconds at f/2.8, ISO 12,800 and 4200 K white balance, with minimal processing applied. Mouseover for labels. Barnard's Star is one of the closest to the solar system, about 6 light years distant, and is the closest star (besides the Sun) visible at our mid-northern latitudes. Its proximity contributes to it having the highest proper motion of any known star, 10.3 arc seconds per year. I previously imaged Barnard's Star in May of 2017 and made a comparison of the then-current position against the positions plotted by SkyTools and SkySafari. In the approximate 22 months since then, I am unable to detect any real movement by comparison of the previous and current images. I also found that SkyTools plots the position calculated for the current date while SkySafari plots a fixed position for the year 2000. As a result, the SkySafari position is now off by more than 3 arc minutes. The previous comparison was made with SkySafari 5, but the more recent version 6 still plots the year 2000 position.